Kate Williams* focuses her practice on all aspects of corporate due diligence, including commercial real estate, mergers and acquisitions, health care and life sciences, and privacy and data security. Kate has extensive experience in real estate matters and works closely with the Firm’s real estate group. In her previous roles in the title insurance industry, Kate issued various title insurance policies and managed funding of escrow accounts during closings. 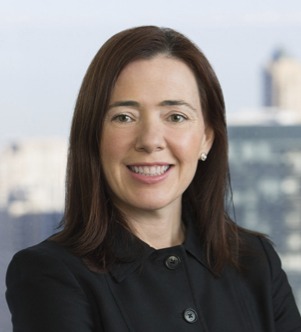 Prior to joining McDermott, Kate worked in the commercial mortgage backed securities division of a large international bank where she facilitated closings in connection with the acquisition and disposition of commercial real property and negotiated office, retail and industrial leases. During law school, Kate was a member of the Ely Chapter of Lambda Alpha Student Organization. She graduated with distinction for outstanding achievement in real estate. *Not admitted to practice in Massachusetts; admitted only in Illinois. Supervised by principals of the Firm who are members of the Massachusetts Bar.